Looking for easy-t0-make cocktails for your next tailgating party? 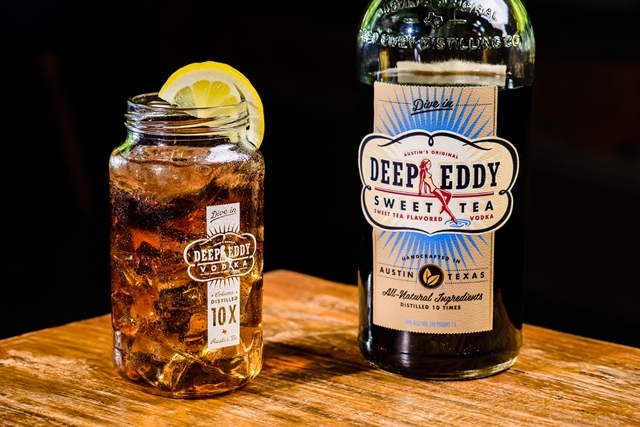 Deep Eddy has unveiled its lineup of tailgating drinks to whip up next time you’re prepping for the big game. Directions: Muddle basil in simple syrup. Add vodka, shake and strain into martini glass. Top with basil leaf garnish. Directions: Add ingredients to a tall glass filled with ice and stir to combine. Garnish with lemon. Directions: Muddle raspberries and habanero clove. Combine all ingredients, including basil leaf, and shake vigorously with ice. Strain over fresh ice. Top with club soda and add basil leaf garnish. Directions: Add ingredients to a tall glass filled with ice and stir to combine. Garnish with a lime wedge. Directions: Add ingredients to a rocks glass filled with ice and stir to combine. Garnish with a lime wedge.